Response to police group, Miami Fraternal Order of Police? When Beyonce performed “Formation” during this year’s Super Bowl 50 halftime show, the singer was accused by police group, Miami Fraternal Order of Police, of spreading an anti-police message with their clothing and raised fists—similar to the 1970s Black Panthers. The police group threatened to boycott Beyonce’s concert when the tour began in Miami on April 27. The boycott of Beyonce’s concert did not materialize and was instead “fully staffed,” confirmed Miami Police Department spokesman Officer Ernest Lawrence. Apparently, the “Halo” singer is looking to capitalize on the failed attempt of the police group. 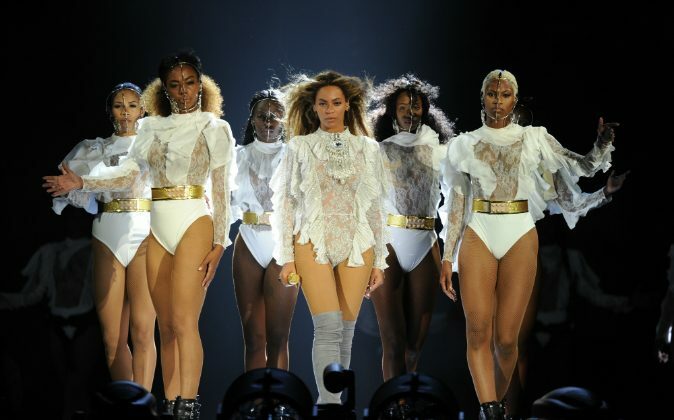 The singer is selling ‘Boycott Beyonce’ merchandise at her sold-out concert. In a rare interview with Elle, Beyonce addressed the controversy that surrounded her Super Bowl 50 performance. “Anyone who perceives my message as anti-police is completely mistaken. I have so much admiration and respect for officers and the families of officers who sacrifice themselves to keep us safe. But let’s be clear: I am against police brutality and injustice,” said the 34-year-old Texas native.